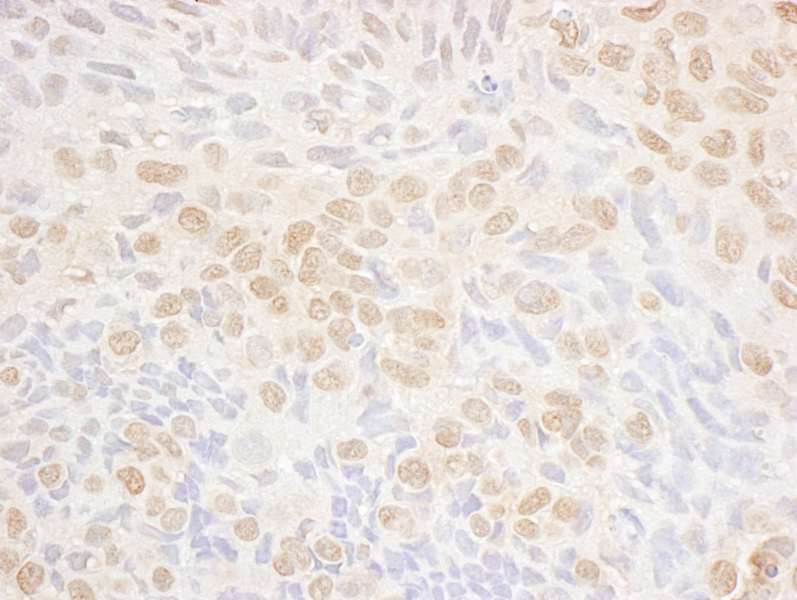 STK17A antibody LS-C289401 is an unconjugated rabbit polyclonal antibody to STK17A (DRAK1) from human, chicken, dog and other species. Validated for IF, IHC, IP and WB. Region between residue 354 and 414 of human DAP kinase-related apoptosis-inducing protein kinase 1 using the numbering given in entry NP_004751.2 (GeneID 9263). Immunohistochemistry: Antigen retrieval with citrate buffer pH 6.0 is recommended for FFPE tissue sections. Human controls: Breast Carcinoma, Lung Adenocarcinoma. 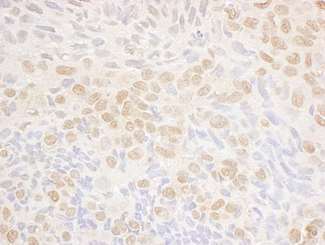 Detection of Human DRAK1 by Immunohistochemistry. Sample: FFPE section of human lung carcinoma. Antibody: Affinity purified rabbit anti-DRAK1 used at a dilution of 1:200 (1 ug/ml). Detection: DAB.